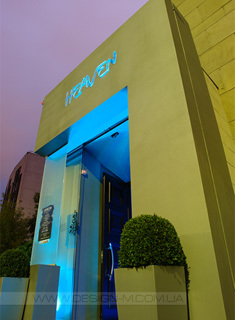 MDesign welcomes you to Heaven, a white club located in Kiev, Ukraine, with a comfortable and democratic atmosphere. 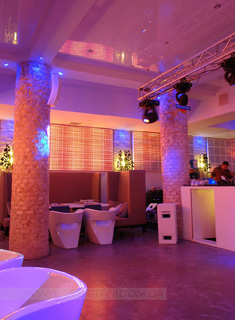 Basis of conception of club functioning is based on creation a comfort space for rest of guests of establishment. For this in creation of interior is used furniture of clear simply-shaped, and also natural finish materials: tree, flowed, brick, concrete. 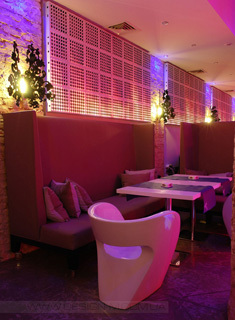 Dark colors are traditional colors of night-clubs. Heaven is a club of absolutely white color, although it is heavy to define, nevertheless, it so. 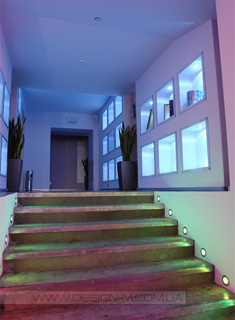 “Coloration” is given him by using led-technologies: led-screens on all perimeter of hall and point led-illuminating of columns and of stair stages. Accent chairs are “victoria” and “albert” from the Moroso company and sconces “anastasha” manufactured by Terzani, they combine the simplicity and brevity, ease and artistry. With square tables with wooden table tops in white and chrome on the basis and beige sofas with high backs harmoniously complement each other. 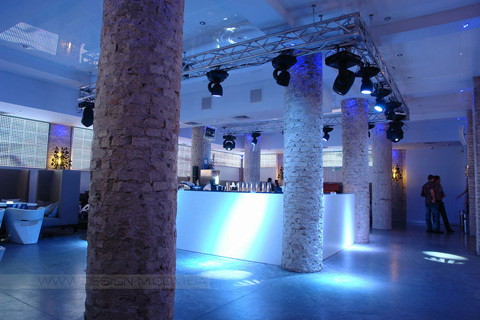 Bright colors of furniture groups in conjunction with the natural texture of brick columns and the natural color ofindustrial floor, create a comfortable and democratic atmosphere for visitors to the club.